Click here to view a sample monograph (Sage Leaf). At a time of wide public interest in herbal medicines, the need has never been greater for up-to-date summaries of the available scientific knowledge on medicinal plants. 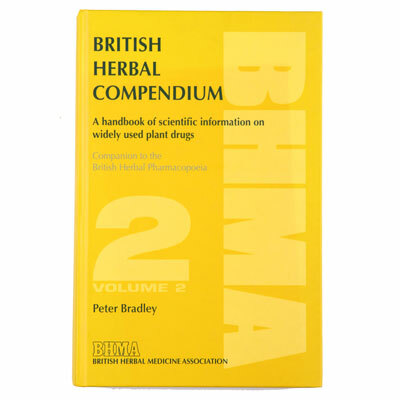 This authoritative text will be invaluable to all involved in research, manufacture, supply or control of herbal medicines and to practitioners and students of phytotherapy. Based primarily on published research and broadly following the concise format of Volume 1, but in greater depth, each monograph has sections on constituents (with structure diagrams), pharmacology and clinical studies together with therapeutics, safety data and regulatory status. References to worldwide scientific literature form a key part of the text and over 3000 full citations are included. The monograph on Echinacea (12 pages; 73 references, 3 tables of clinical studies) covers all the species and plant parts used therapeutically, differentiates their constituents in separate subsections and collectively reviews all the randomized placebo-controlled studies published up to 2005. “It is one of the best-researched and well-documented references on the why’s and how’s for the use of herbal medicine/dietary supplements as alternative therapy in primary health care”. “Of particular usefulness are the clinical studies and therapeutic sections….” “In summary, this reviewer recommends the addition of this book to health science libraries, complementary and alternative medicine (CAM) practitioners, researchers and students, as well as pharmacies/pharmacists, and other health practitioners”. Harry H.S. Fong, Professor Emeritus of Pharmacognosy, College of Pharmacy, University of Illinois at Chicago.